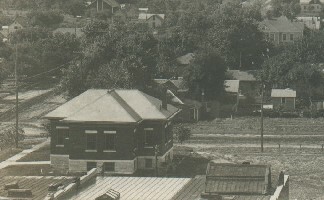 The first library in Lyons was started in the early 1900s in a millinery shop on the east side of the square. The members of the Lyons Woman’s Club were active in raising funds for a larger library. They raised $10,000 and this was matched by Andrew Carnegie. The new building was built at the corner of East Avenue South and Lyon Street and was dedicated in 1911 with the stipulation that it be used for a library and cultural purposes. 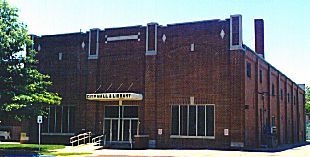 In 1971 the city hall was rebuilt to contain the library and the old Carnegie Library was converted for use as part of the Coronado-Quivira museum. 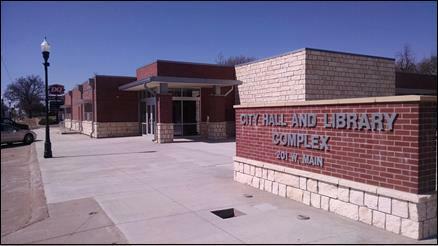 In 2014, a new city hall and library complex was built at the corner of West Main and West Ave South.